We’re located in beautiful Albuquerque, NM, home of a thriving and expanding tech community. Deep Dive Coders currently offers the best tuition rates you will find anywhere, at only $3995 for 10 solid weeks of learning to code. 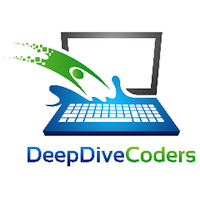 Deep Dive Coders was founded by John Mierzwa. While in Las Vegas, NM, John received his Bachelor’s Degree in Business Management and founded a successful language school, which focuses on quickly teaching people to use their new language skills in a real-life workplace setting. John returned to his hometown of Albuquerque and became involved with helping grow the startup scene here. He loves technology and startups and believes the more people who become interested in coding the better off we’ll all be. John was Vice President of Sales and Operations for a $218M company, and he understands that employers are looking to hire software developers who already have experience working on actual business problems. That’s why Deep Dive Coders is a project-based bootcamp, with our students working on apps to solve real-world challenges in pairs and teams.